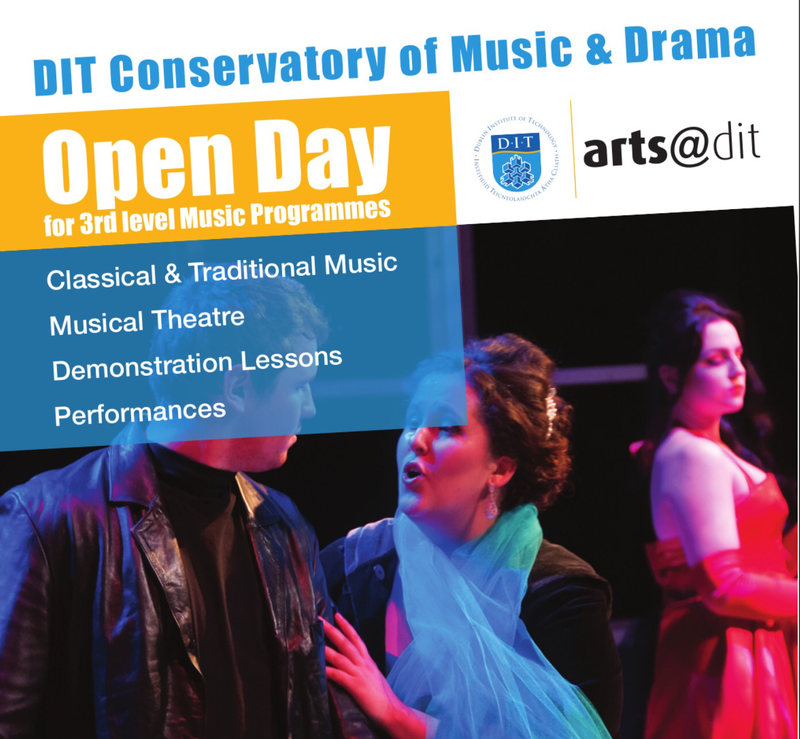 The Music Open Day, for third-level music programmes at DIT, takes place Saturday 6 December. The event will feature classical and traditional music, demonstration lessons and performances. Come along to learn more about our BMus, BMud Ed and Musical Theatre programmes at DIT Conservatory of Music and Drama. Students can visit the main DIT Open Day (Aungier St) and then head around the corner to the DIT building on Chatham Row (just off Grafton).